This Raspberry Chia Jam is simple, fresh, and packed with flavor. 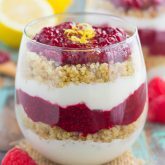 Fresh raspberries and protein-packed chia seeds make up the base of this easy jam, which is perfect for topping toast, bagels, and oatmeal. With just four simple ingredients and hardly any prep time, you can have this easy jam ready in minutes! It’s starting to feel like spring and I’m loving it. The longer days, warmer nights and smell of the fresh air puts a smile on my face. I love this time of year, not only because it means that summer is (hopefully) on its way, but because it feels like the promise of a new beginnings, come the start of the nice weather. If you follow my Insta-stories on Instagram or Snapchat, you know that I take Callie to the dog park or trail every day. She has a lot of energy, so this is a good way for her to get it all out. I love being in the fresh air and especially at the trail, we usually walk between 3-4 miles when we go there. It’s good for the heart, and good for the soul! When I’m at the trail, I usually go on a brainstorming mission for the blog. Since I usually walk by myself (unless the hubster comes along on the weekends), I use that time to reflect. Recipe ideas flow in, I think of things I want to tweak or update, and I just get my thoughts together. Even though I go to the dog trail for my dog, it’s become a happy place for me, too. The fresh air, long paths, and trees really seem to put things in perspective. I’ve had this recipe for chia jam saved for quite some time. It’s one of those random recipe ideas that popped into my head while I was at the dog trail and it’s from The Kitchn. I’ve been itching to make this for a long time now. 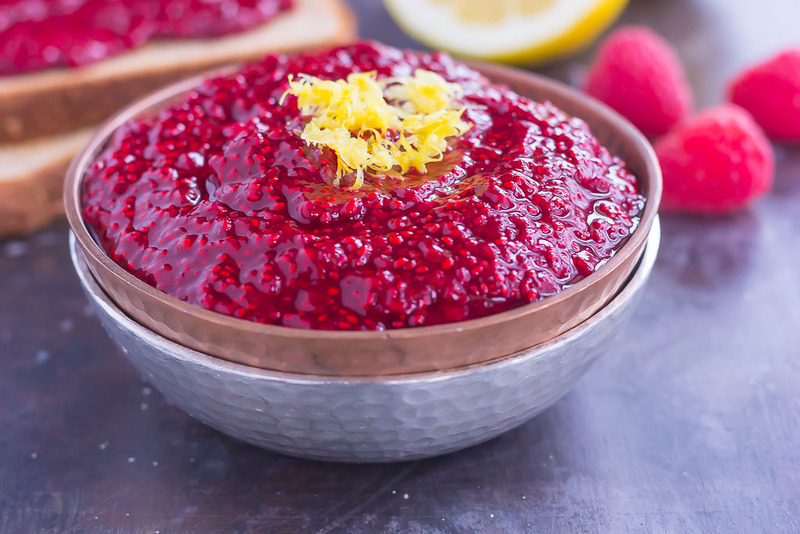 And what better time to showcase this Raspberry Chia Jam then at the start of spring? 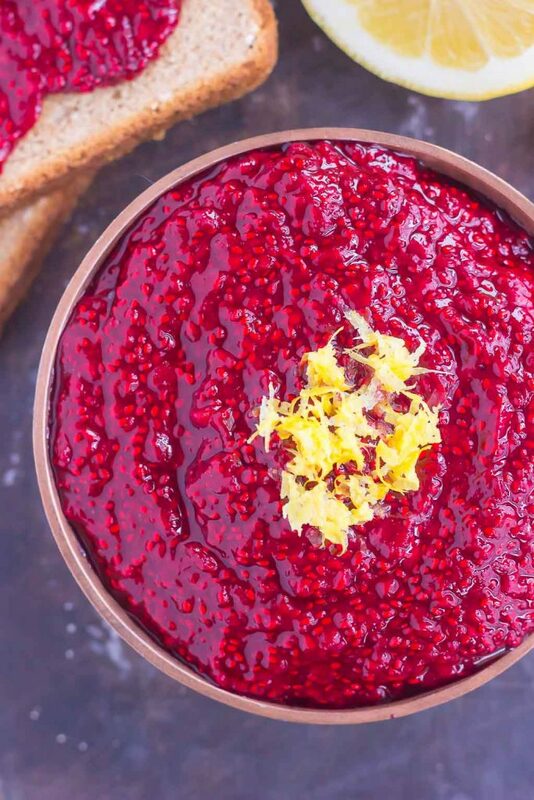 This Raspberry Chia Jam is so flavorful, you’ll want to dig in with just your spoon. I know I did! And you can’t beat just four ingredients! In fact, you may have everything you need right in your kitchen. Which means that you need to make this jam asap, friends. Now, let’s talk about all of the ways that you can use the jam. The possibilities are endless. Spread it on toast, bagels, or English muffins. Swirl it into some oatmeal, add it to ice cream, or drizzle it on pancakes. See what I mean? Endless possibilities, friends! And so delicious! 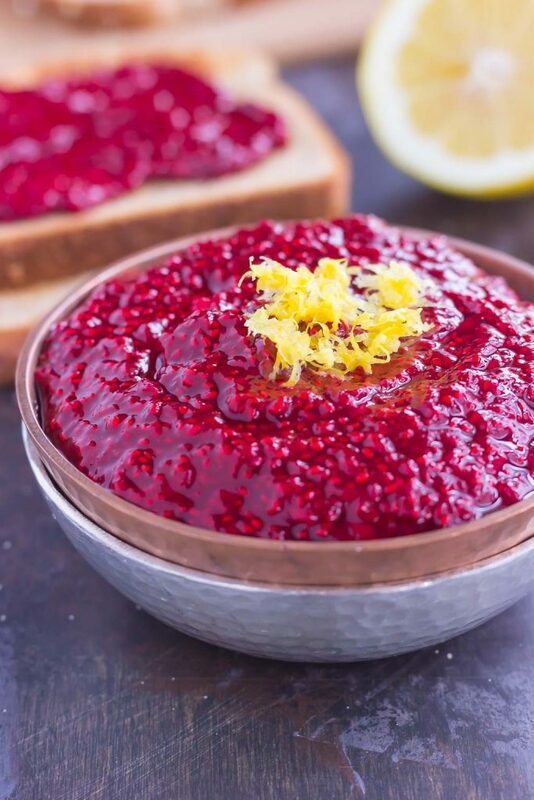 This Raspberry Chia Jam is packed with that sweet raspberry flavor and nutrient-rich chia seeds. If you’re looking for a great way to start your mornings (and head into spring!) this jam is it! Looking for more sauces and spreads? I’ve got you covered! Add raspberries to a medium saucepan. Cook over medium heat until raspberries break down and becomes liquidy, about 8-10 minutes. Stir in honey and lemon juice. Add more to sweeten, if desired. Add chia seeds and stir. Let stand until thickened, about 5-10 minutes. If you want a thicker texture, add more chia seeds, 1 teaspoon at a time, until it reaches your desired consistency. Transfer to a mason jar with lid or air tight container and let cool completely. Jam may be stores for up to two weeks in the refrigerator or up to 3 months in the freezer. 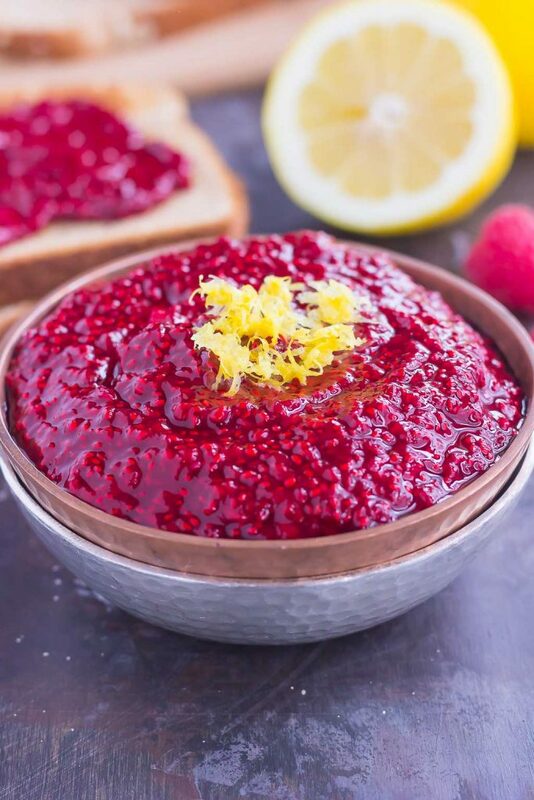 I'm obsessed with chia seed jams and this looks SO vibrant and fresh, Gayle! This would be so good over a bagel with cream cheese! A favorite part of my day is always the trail that we walk or run in the morning... There's no better way to start the day. And this jam would be perfect on my measly toast this morning! Love that color!! Trails are so peaceful for reflecting! Thanks, Annie! This looks so good Gayle! I've never tried chia jam but I have a bag just waiting for some fresh raspberries. I'm getting anxious for Spring to really reach us up here! Thanks, Ashley! 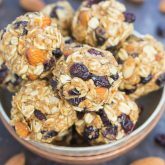 The chia seeds definitely give it a different texture, but it's so good! What a seriously stunning jam!! 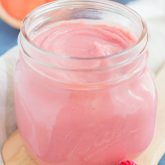 I'm a big fan of chia seeds (they go in all my smoothies) and love the idea of making jam with them. Perfect! Thanks for the jam love, Sues! This looks amazing, Gayle! I love chia seeds but have never tried using it for jam!! The raspberry and lemon combo sound perfect - such a gorgeous color! I have seen your insta stories with your pup! It must be nice to have a dog park to walk to near by! I need to find me one of those for our dog. :) I love that you use your walks to find inspiration! Normally during my workouts I'm too busy sweating and cursing under my breath to find peaceful inspiration. lol. I should try walking, huh? ;) Anyways, I am looooving this jam, Gayle!!! I color is absolutely gorgeous! 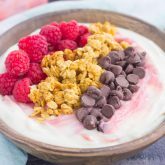 And I'm loving the raspberry and chia combo! You are totally right, this beauty would be fabulous on ALL the things! I'll have to make a triple batch, because I'm fairly certain I'll eat half of this with just a spoon! Pinned! Cheers! Haha during my regular workouts, I could never brainstorm, as I'm cursing too! :) It works well for walks, though. Thanks for the jam love and pin, friend! Ooooh! I need to try this! I made chia jam ages ago, but I totally forgot about it recently. Time to fix that! Aren't dog walks so good for your mind, body, and soul?! I need a new puppy! Yay for spring in Chicago! :) Thanks for the sweet comment, Mira! What a pretty color! The recipe seems perfect for spring! I have never tried chia jam before, but since I have all the ingredients, I think I will try this on the weekend!! Thanks, Cathleen! Hope you like this if you try it! Thanks for the sweet comment, Demeter! Fresh air does wonders for the body and soul! I love making my own jams! 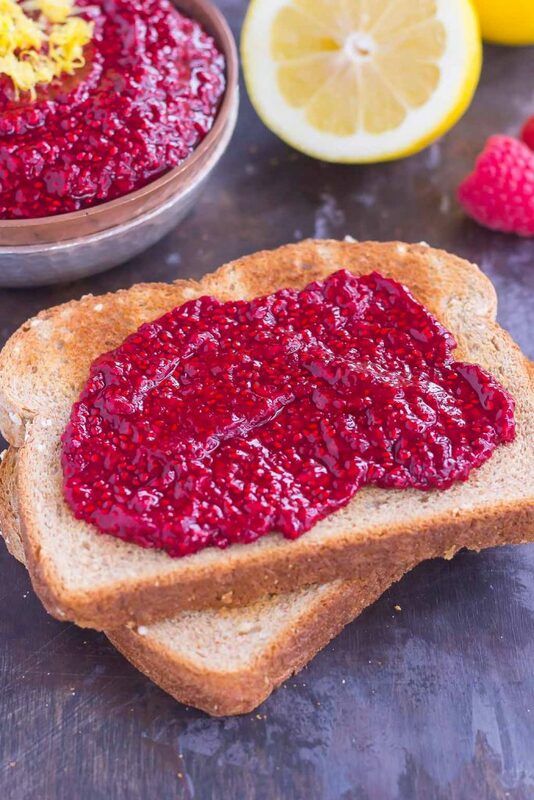 My morning toast needs this raspberry chia jam! Oh my gosh that COLOR!! SO so vibrant! and I love the dose of chia in this. Makes my morning a little healthier and fuller. Thanks for the sweet comment, Zainab!